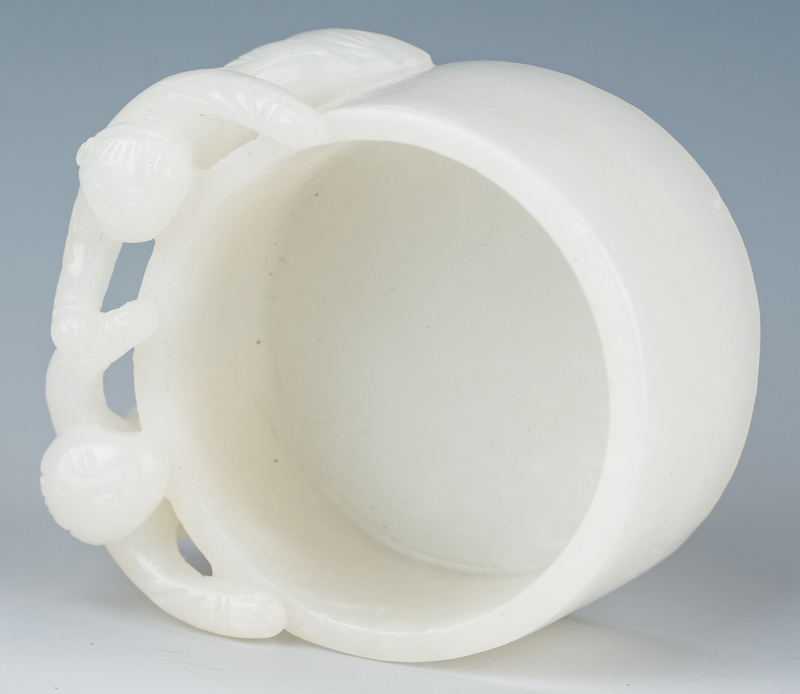 Three (3) Chinese Carved Jade items. 1st item: Round white jade brush washer with two carved figures holding onto side. 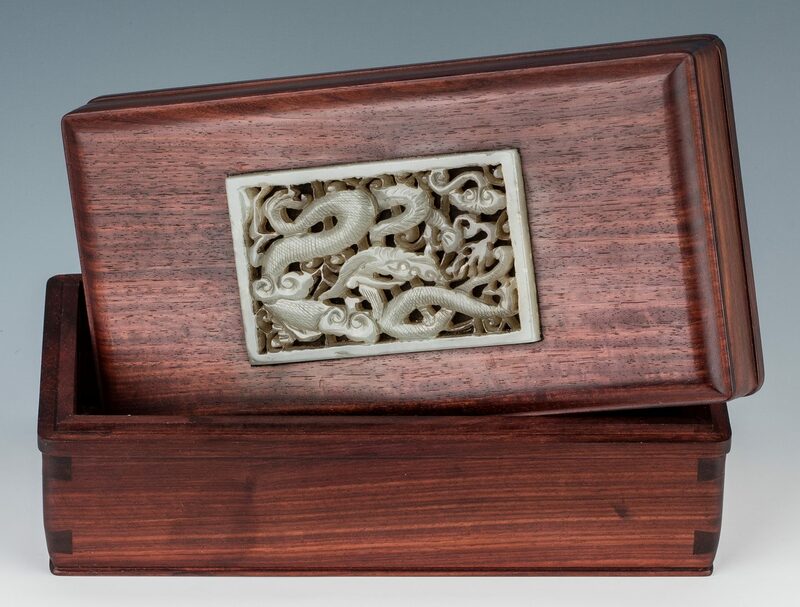 1 1/8" H x 1 3/4" W x 2" D. 2nd item: Hardwood box with carved jade inset plaque of dragon. 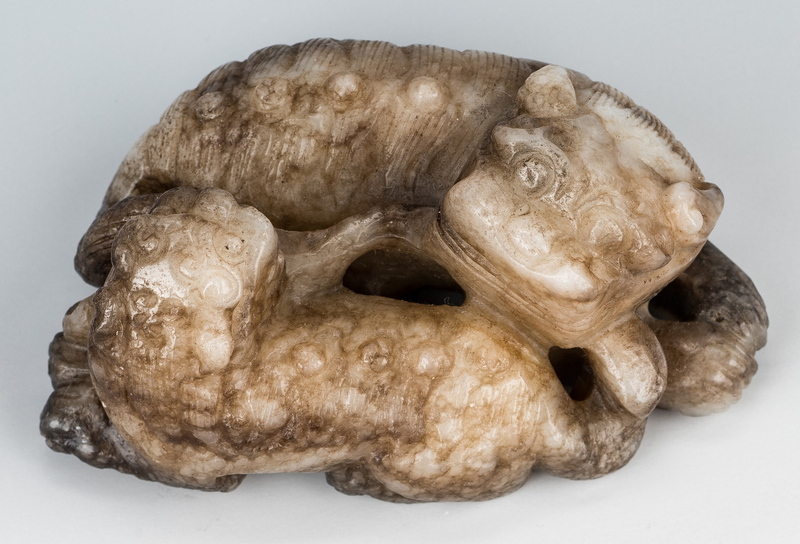 2 3/4" H x 7" x 3 3/4" D. 3rd item: Carved mottled grey jade foo dog mother and baby. 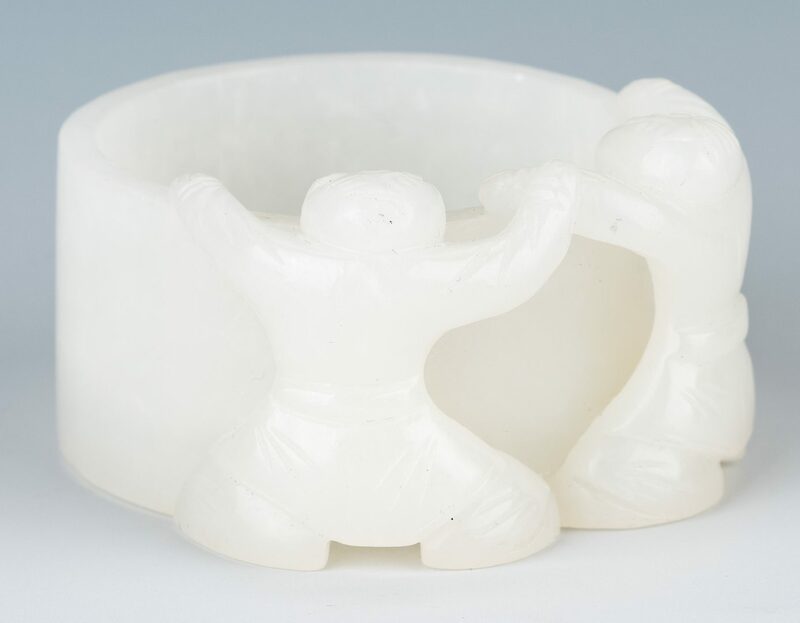 1 1/8" H x 2 5/8" W x 1 3/4" D. All items early 20th century. 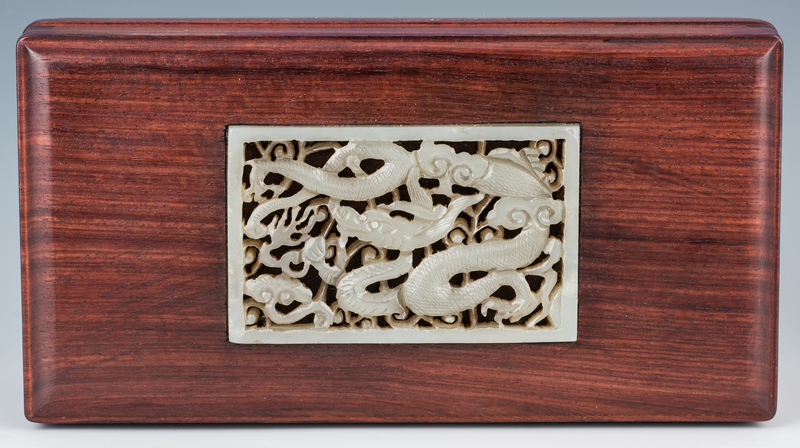 CONDITION: Brush pot and foo dog carvings in very good condition. 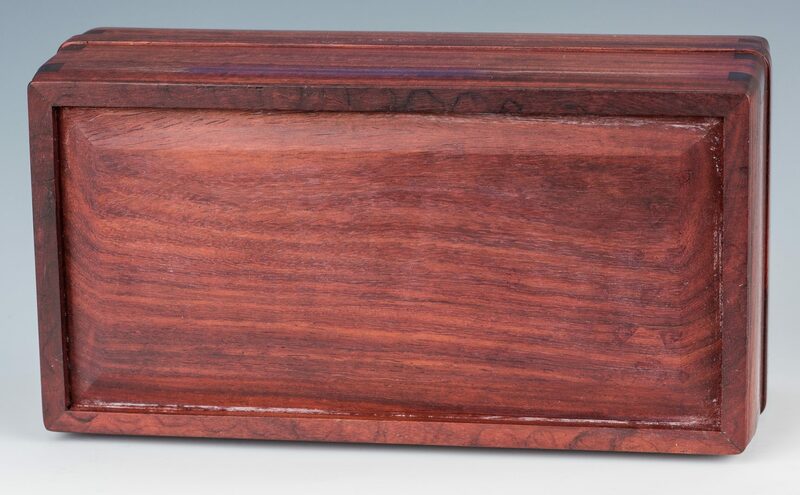 Plaque on box with natural loss on top right edge.